Timing is everything when it comes to a lot of things – baking a soufflé, fertilizing your lawn, and buying a home. Not so sure about that last one? With interest rates going up and housing prices on the rise, you may think that it might not be the best time to purchase a home or even refinance the one you’ve got. But experts disagree. “It is a big deal to buy a house. But if you do your homework and have the right documentation ready, this could be a great time to buy a home for many reasons,” says Jay Plum, executive vice president of Huntington National Bank, in Cincinnati, Ohio. Read on for the five major reasons why mortgage experts believe that there is no better time than the present to get that dream house you’ve always wanted. “A reason to look now into buying a home or refinancing is because these rates won’t stay [put] forever. That’s what rates do – they go up,” says Plum. In fact, the interest rate for a 30-year fixed mortgage is expected to go up to 5 percent by the fourth quarter of this year and 5.3 percent by the end of 2015, according to a recent forecast by the Mortgage Bankers Association (MBA). Why are rates rising? Well, one huge factor is that the feds will start raising rates about six months after they stop buying mortgage bonds, which is projected to happen sometime in 2015, says Plum. “[Rates] probably won’t start shooting up quickly. But a quarter of a point on an interest rate can mean about $100 more each month on [a homeowner’s] loan. For a lot of families, that can make a big difference,” he says. Is your credit score lower than you’d like to admit? Well, good news: Credit score requirements for borrowers taking out mortgages are easing. In March, credit scores on purchase mortgages stood at 755, down from 761 in the previous year, according to data from Ellie Mae, a mortgage-software provider. Credit scores for FHA loans dropped even lower to 684, compared to 696 a year earlier. What brought on this change? The 2014 market is expected to be a more purchase-focused market, says Vickee Adams, vice president of external communications for Wells Fargo Home Lending. “Having a broader credit score range will serve to attract more borrowers into the market,” she explains. But why is there a need to attract more borrowers? Well, the demand for refinancing has dropped considerably. Refinance applications are about 70 percent slower than a year ago and are expected to continue to decline, according to a statement by the MBA in April 2014. As a result, banks are trying to find ways to boost lending to homeowners, including lowering credit score minimums. It has been a brutal winter, and people who wanted to sell their house just didn’t want to bother with all the snow and cold weather, says Lawrence Yun, chief economist for the National Association of Realtors in Washington, D.C. The same goes for people wanting to buy a home – they just stayed put, he adds. “Many people who were forced to delay putting their house up for sale are doing so now. But spring has always been an important time in the real estate business,” Yun says. In fact, warmer seasons like spring and summer have always been a popular time to buy a home. People think about moving during summer vacation, because their kids will be out of school then, which helps makes things easier, says Yun. Buying a new home in the summer gives families enough time for the closing and moving before school starts again. No kids? Summer is still a popular time to sell or buy even for people without children. And it’s not just because the weather is nicer. Buying a house is a significant purchase, but in most parts of the country, it’s cheaper than renting. If that seems counterintuitive, let’s look at recent research by Trulia, an online residential real estate site for home buyers, sellers, renters and real estate professionals. According to Trulia, homeownership compared to renting continues to be the less expensive way to live in all of the 100 largest metro areas researched. The study compared the costs of renting and owning assuming homebuyers get a 4.5 percent mortgage rate on a 30-year fixed term loan with 20 percent down. So why should people buy a home now? The gap is getting smaller between the two choices because of rising mortgage rates and home prices, says Jed Kolko, Trulia’s chief economist and author of the report. However, the percentage is different in every housing market. In Honolulu, buying is only 5 percent cheaper than renting, while in Detroit, buying is 65 percent cheaper than renting. Are you looking for a bungalow with a white picket fence, a modern metropolitan penthouse, or a cabin in the woods? Well, it might be time to buy your dream abode before prices go too high. The good news is that that the prices of homes have gone up but haven’t skyrocketed, so they’re still within reach of many buyers. The median existing home price for all housing types in February 2014 was $189,000, which is up 9.1 percent from last February, according to recent press release by the National Association of Realtors (NRA). Plus, the housing inventory rose 6.4 percent to 2 million existing homes available for sale, reports the association. So there are more homes to choose from during your search depending on where you live. 2.) You’re paying for housing whether you own or rent in Nutley. 4.) 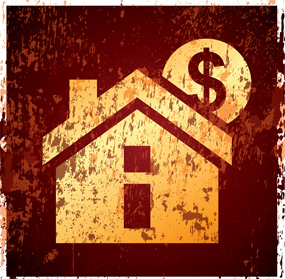 There are substantial tax benefits to owning a home inNutley. 5.) Owning is a hedge against inflation in Nutley. When you are buying a new home in Nutley, it is important to take into consideration the four-legged residents that will be living there, as well as the two-legged ones. What things should you keep in mind if you are house hunting in Nutley and you own a pet? When you are looking at the house layout, think about how it will accommodate your pet. If you have an old dog that can’t climb stairs very well, look for a home that is mostly one level. Cats like to have little alcoves and quiet spaces where they can hide away. Think about where you would put the kitty litter box or the food bowls so that they would be practical and would not get in the way. Be sure to also look at the yard. Is it fenced, so that you can let your dog outside to run around? Is there an outside hose that you can use for bathing your pet? Is there room for a dog house? You might also want to avoid a house near a busy road, in case your pet escapes and runs into traffic. Take a look around the rest of the neighborhood in Nutley. Do you see that many other people have dogs and cats? Are there a lot of friendly people out walking their dogs? Is there a vet, a pet shop and a dog park nearby? Nutley has some great parks! When they see your dog or cat, do people smile and say hello? A neighborhood full of pet-friendly people is a great place for you and your furry friend to live, because you will feel welcomed. You might even make some new friends to go on walks with! It is a good idea to know about the local Nutley ordinances when it comes to cleaning up after your pet. In many places, failing to scoop up your dog’s droppings when taking him for a walk can lead to a very expensive fine! This is a mistake that you don’t want to make when you move into a new home in Nutley. Most people have dogs and cats, but if your animal companions are a little less common, you might need to check the rules. If you own a goat, chicken, donkey, sheep or any other farm animal as a domestic pet, check with the proper officials about the zoning regulations and ordinances in the Nutley area you are buying your home. These are just a few things to consider on behalf of your pet when you are buying a home. For more real estate advice, contact your real estate professional. process can seem a bit overwhelming, especially for those who are new to the world of real estate. Since purchasing a home will likely be the most significant investment one will ever make, there are many factors to consider and information to gather before signing on the dotted line. From location to taxes, inspections to re-sale value, knowing the right questions to ask can make all the difference. 1. How do I determine how much I can afford? Identifying a specific price point before looking to buy a home is an important first step. By setting an overall budget before beginning a home search and sticking to it, buyers will feel confident that they will be able to afford their monthly expenses, avoid financial problems down the line and find a home that they love within their price range. 2. 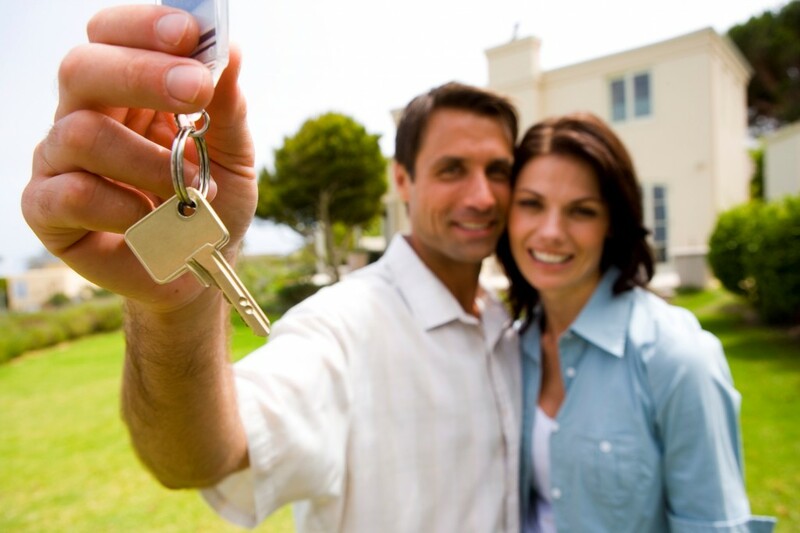 How can a real estate agent help me during the home buying process? Understanding the role of a real estate agent is a necessary step in the pursuit of a happy house hunt. A real estate agent oversees the transaction of the home on the buyer’s behalf, and is instrumental in making sure the process is both simple and seamless from start to finish. Therefore, it is crucial that the buyer select an expert who understands what they are trying to find. 3. Which home loan is best for me? Choosing a home loan that best suits one’s specific needs can be a complex undertaking. From fixed-rate to adjustable-rate, choosing the appropriate home loan is one of the most important decisions a buyer will make. To determine the best loan for them, buyers should speak with a qualified mortgage consultant who can assess their situation and provide an expert opinion. 4. Do I need to have an inspection? Home inspections are a crucial part of the home buying process. Before deciding on a property, it’s worth the small investment to have a home inspection completed before placing an offer on a property, even if the seller recently conducted an inspection as part of the home selling process. 5. Do I need a home warranty? A home warranty will cover expenses that arise post closing, including appliance repair and replacement costs and plumbing or electrical defects. Because each home (and its contents) is different, it is a smart idea to discuss the need for a home warranty with a real estate agent. 6. How long has the home been on the market? Before purchasing a home, the buyer should inquire about how long the property has been for sale. The length of time a home is on the market can help determine what the appropriate offer price is and whether or not this is a home that might be worth re-evaluating. 7. How much should I offer to buy the home? When a buyer decides on the house of their dreams, it is important to know how much to offer. Since this is arguably the most important step in the home buying process, it is important that they have an agent advising them every step of the way. Placing a bid too far below the asking price could result in the house being sold to a higher bidder. On the flip side, offering too much might result in money spent that could have been put towards other expenses. A real estate agent plays a critical role in reaching the balance, so that his or her client can make a reasonable offer and walk away with a signed contract in hand. 8. What are the plans for the neighborhood? Location is a significant factor in deciding which home to purchase. Looking beyond the homes proximity to schools, hospitals, etc., buyers will also want to know what plans, if any, the city has in store for the home’s surrounding area. A real estate agent can direct buyers to the right sources for uncovering any major construction projects in the works or town plans to give the neighborhood a facelift. Researching the city’s upcoming projects can often times provide insight into the home’s potential appreciation or depreciation. 9. Where are the home’s property boundaries? Land boundaries are not as obvious as one might think. What looks like a spacious backyard could be half its size depending upon where the neighbor’s property begins. Therefore it is always important to request to see paperwork that discloses the property lines. 10. How much are the home’s taxes? In addition to a monthly mortgage payment, buyers will also be responsible for covering the taxes associated with their new property. And taxes could potentially total several thousand dollars a year. Therefore discussing the home’s taxes ahead of time with your real estate agent can help a buyer understand the additional costs.